Here's sample racing sponsorship proposal from my portfolio. Click here to see other paint scheme projects I've designed. 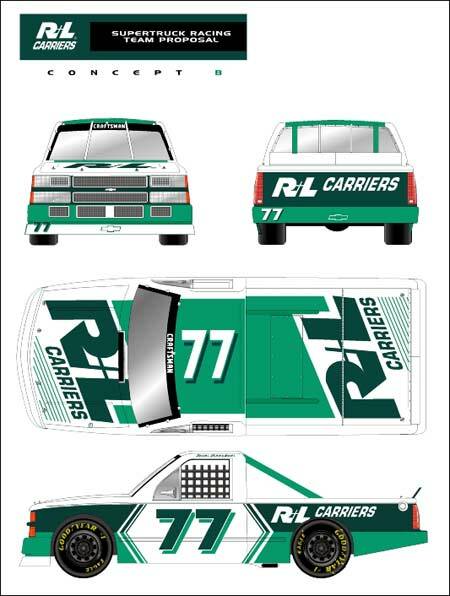 These concepts are samples that were done for a Craftsman Truck racing team. 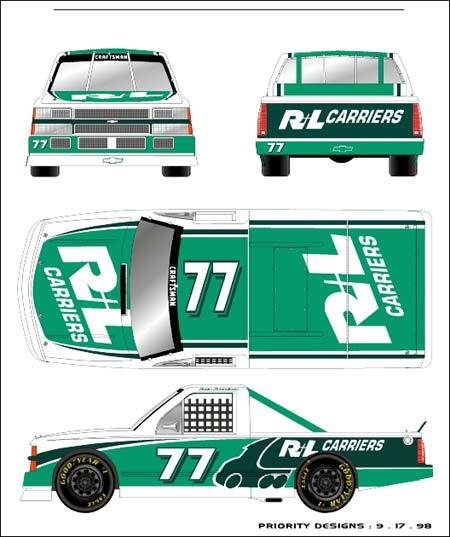 They were created in the spring of '98 to present to R+L Carriers as part of a proposal to gain sponsorship for their Craftsman Truck Series Chevy.